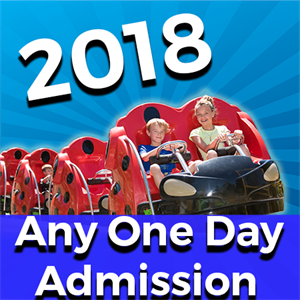 Any One Day Admission tickets can be used on any 1 2018 operating day until 1/1/19. These tickets are the same price as you would pay at the ticket booth. Tickets will be sent via e-mail. (1) Any one Day Admission ticket is valid any 1 (one) operating day until 1/1/19. Admission ticket includes Edaville, Thomas Land, Dinoland (4/14/18-10/28/18), Christmas Festival of Lights (11/16/18-1/1/19), includes all rides and attractions. ONLY GOOD FOR 1 (ONE) OPERATING DAY. THIS IS NOT AN EDAVILLE ELITE SEASON PASS. 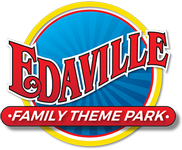 Souvenir Cup vouchers can be redeemed in GUEST SERVICES at Edaville Family Theme Park. Upgrades must be purchased separately, upgrades are not included with this admission ticket. All discounts must be added at time of purchase. Only one discount at a time can be applied to an order. Some discounts are available at the gate only. No refunds will be given after tickets have been purchased. Anytime Admission tickets are not valid for private, exclusive, pre- or post-season events. All tickets will be sent via e-mail.